It’s easy to understand that ethics is a huge concern for nurses. The Gallup Poll cited nursing as the most ethical profession for the 17th consecutive year the past December (2018). Nurses scored 84% of the votes while the number 2 spot was for doctors who scored 67% of the vote, followed by pharmacists with 66%. As predicted, members of Congress ranked the lowest with only 8% of the vote. Nurses have actually ranked number one for two decades, but in 2001 after the tragic events of 9/11, firefighters ranked number one. People place their trust in nurses and nurses have the obligation to live up to the standards and provide the best quality care possible. During the formation of the ANA in the 1800’s, one major focus was on developing a code of ethics. However, other issues such as the registration process for nurses and accreditation of nursing schools took precedence. For many years the only real attempt at establishing a code of ethics was to use of The Nightingale Pledge which became known as being akin to the physician’s Hippocratic Oath and the motto to Do No Harm. By 1926, the ANA published a “suggested code of ethics” outlining the ethical behavior a nurse should exhibit. It addressed relationships between the nurse and patient, the nurse and medicine, and the nurse and the profession. It was expected that the nurse should for example bring all of the “knowledge, skill, and devotion” to the relationship with the patient. What Should Nursing Schools Teach about Ethics? Nursing schools at this time were also examining the issue of ethics and what they should be teaching nursing students and what kind of training should be taking place in facilities for ongoing education of nurses in the realm of ethics. The ideas focused on the premise that personal character makes a huge influence on how a nurse would determine the right action in the face of any adversity or situation. Code of ethics and rules of etiquette emerged with a priority of helping nurses accept authority, adapt to difficult situations, show innovation and industriousness, and be conscious of what and how they say things. The first formal code of ethics was adopted by the ANA in 1950 and in 1960 the code was updated with 17 provisions that range from fundamental responsibilities in patient care to the nurse’s accountability in conduct to participating in research and advocating for legislation to promote the nursing profession. By 1968, brief interpretations of the code were included to help nurses better understand and apply the code of ethics to their practice. There were two more updates in 1976 and 1985 that added more depth and focus to the code as changes in society and technology along with the emergence of advanced practice nursing roles affected nursing practice. The Code of Ethics for Nurses is a living document and will continue to evolve and change with the times. As society and technology changes so will the need for changes to the code. HIPAA and other forms of privacy laws and practices have made an impact on the code. Social media is another area where many changes have been necessary beginning with the technology as well as the terminology and adjusting to the privacy issues within the media itself. The latest revision to the code was made in 2015 and its title changed to the Code of Ethics for Nurses with Interpretative Statements. The Interpretive Statements were added in order to better guide the profession in a wide variety of settings and responsibilities. Many states have incorporated the code into their Nurse Practice Act (NPA). The code is written by nurses and used as a foundation and professional guide for nurses in decision making and conduct. The ethical standard it establishes is “non-negotiable in all roles and all settings” in its description of the nursing professions duties, obligations, values and ideals. In other words, the nurse needs to promote self-care for his/herself as well as for patients, and the nurse is expected to continue to grow personally and professional through seeking new knowledge. As society and technology continue to grow, so must the nurse in order to maintain and improve the quality of care, stay current with changes in care and treatments, and to educate patients. The code of ethics expects all nurses to adhere and grow whether or not continuing education courses are required by the state where they practice. In order to further support and promote ethical practice for nurses, some states require specific continuing education courses in ethical dilemma issues even if they don’t require any other CE courses. These issues include end-of-life decision making and care issues, mandated reporting, child abuse, elder abuse and neglect, domestic violence, workplace impairment, workplace violence, human trafficking, substance abuse, opioid addiction and the nurse’s role in the opioid crisis, medication errors, HIPAA and privacy laws. 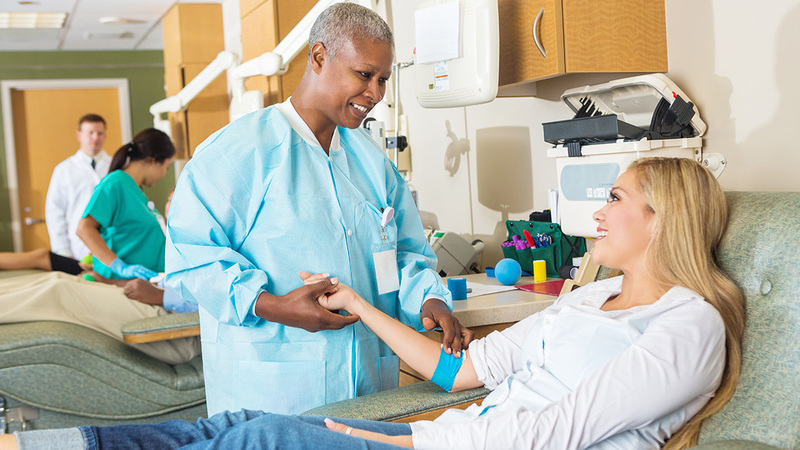 Currently, 32 states and the District of Columbia require RNs to have varied numbers of continuing education courses over a period of 1 to 3 years as defined by the NPA in order to renew their license. Licensed practical or vocational nurses (LPN/LVN) are also expected to adhere to the code of ethics and continue to improve their knowledge base, but only 18 states and Washington DC require formal continuing education courses. It is the duty of every nurse to know and understand the NPA in the state where they practice, as well as understand and follow their scope of practice as defined in the NPA. This is especially critical for nurses practicing under compact (multistate) licenses. The NPA and scope of practice can vary from state to state and nurses must know what they are allowed to do and expected to know and do in the state where they are practicing.